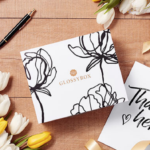 Tribe Beauty Box February 2019 Spoiler #2! Tribe Beauty Box has released a new spoiler for the February 2019 box. Everything you could ask for in an eye set! This set covers it all, ranging from your basic eyeshadow blending brush to a mini angled brush perfect enough for not only enhancing your lash line but as well as could be used to define your brows. Create the eye look you’ve been dreaming of with the best tools you could imagine. This palette is one of the most pigmented palettes you will ever own! SUVA Beauty’s Limited Edition Block Party Palette includes buttery light-reflecting formulas, alongside complementary, bold, and full saturated matte formulas. The Products: Tribe Beauty Box sends a box of trendy & indie brands every 2 months. Get 5 full-size products worth over $100 for only $34.99! This box also caters to make up artists or anyone looking to build their make up collection. Check out all of the Tribe Beauty Box reviews and the Beauty Subscription Box List! I love this subscription, this will be my 3rd box and I’ve been very happy with all of them. Before someone screams bait and switch….this box has been selling extremely fast so Tribe sent out an email with the following info (in my words, not theirs): At the time of me posting this, there are SEVEN of the boxes that will include the Suva Block Party Palette remaining. When those sell out, people will receive the Suva Saffron palette instead (which actually has a higher RV at $35 instead of $30 for the block party. There is a banner on the top of the main tribebeautybox page that tells you how many BP palettes are remaining. If you want BV, you’d better hop on it FAST! That palette! 😍😍😍 I think I found a new box! I am thrilled! I can never have too many Luxie brushes. Having a new colour is fantastic!